Product code: P862 Categories: Sold Items, Sold Rings. 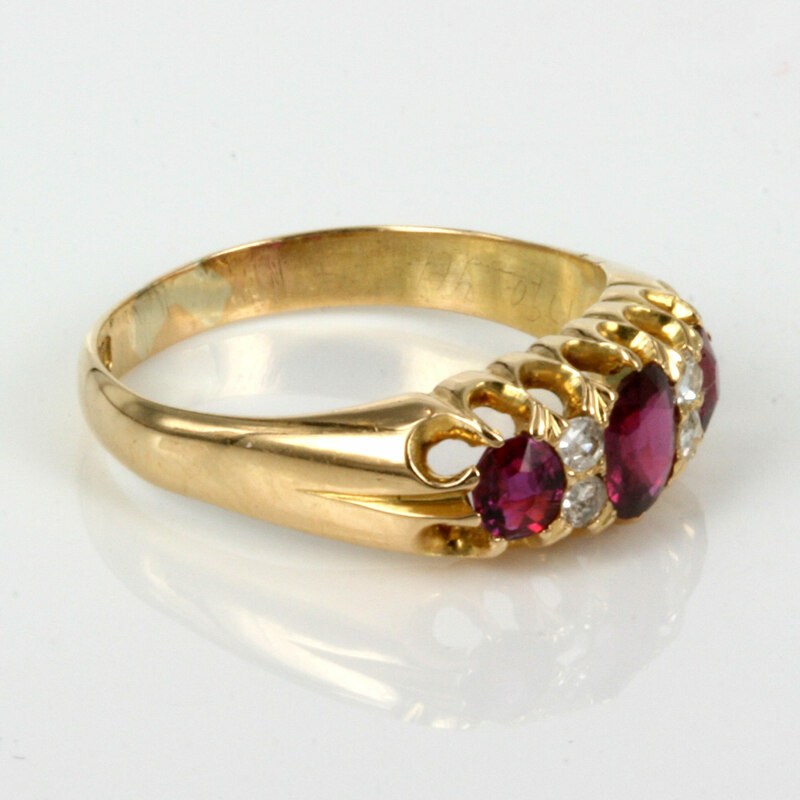 This is such a lovely antique ruby and diamond ring that was hand made in 1908 and set with 3 very vibrant rubies and sparkling diamonds. 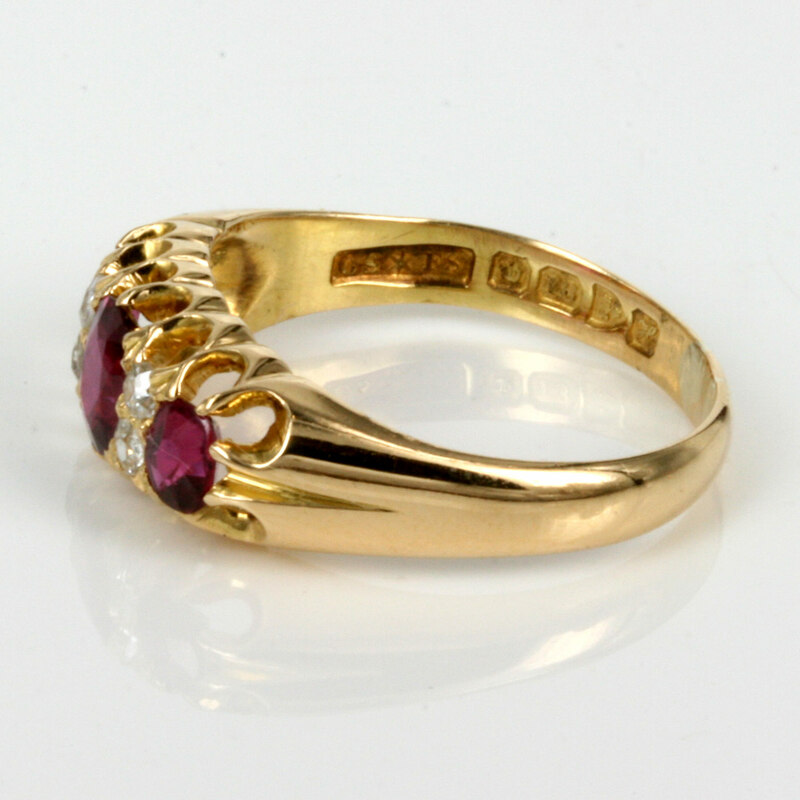 Made in 18ct yellow gold, the three rubies total 1.10 carats and the 4 diamonds 0.12 carats. 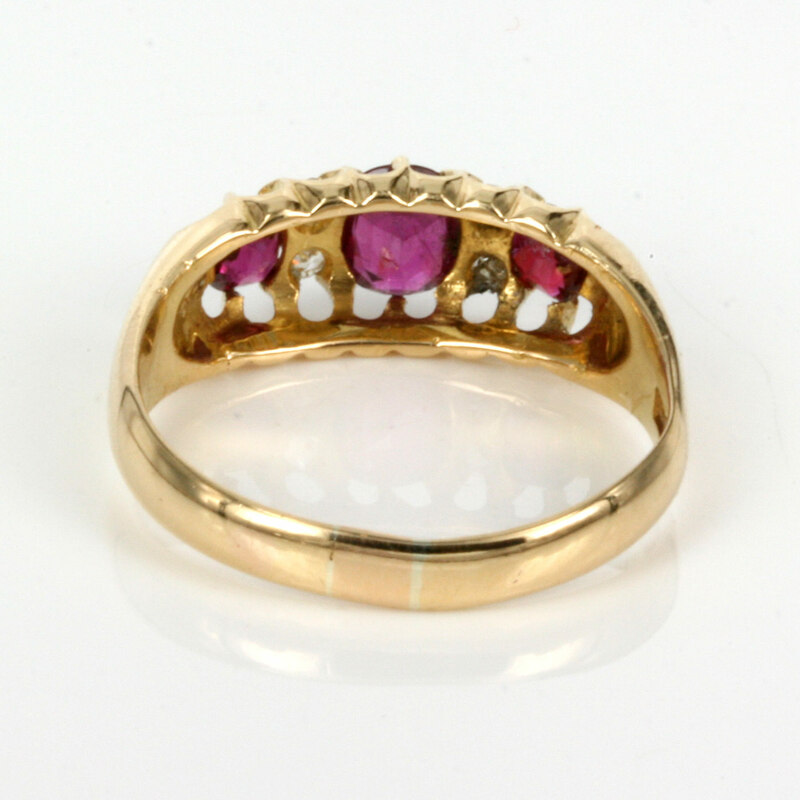 The colour of the rubies are spectacular and the setting makes this ring just so easy to wear every day. Absolutely perfect for any occasion, this ruby and diamond ring would make a stunning example of an antique engagement ring for that special person.